Rugged and rustic yet real and down to earth, the Urban collection feels like it’s straight out of the 90’s Seattle Grunge era. Appearing to be tailor made for loft conversions, the Urban range befits its name in an apt manner thanks to its adaptability to modern decor viewed through a gritty filter. Bedrooms, living rooms and even dining rooms can be enriched with the Urban collection’s unique sense of style, as the range includes an impressive variety of furniture. 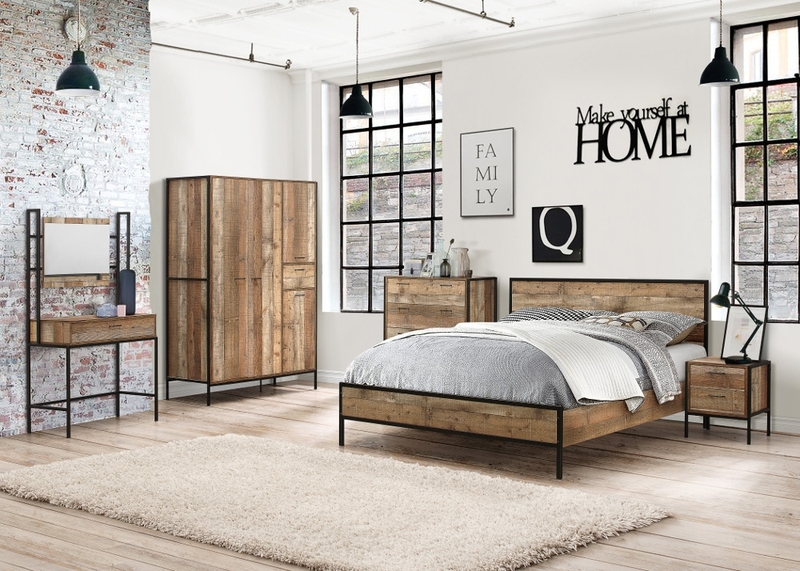 From adding chiseled character to a lounge with one of the subtle bookcases or spacious drawers to creating a strong statement in a bedroom with one of the large wardrobes or solid beds, the Urban collection provides any room with a lasting impression. Each piece of furniture in the Urban collection is made with a combination of wood and metal, reinforcing the durability of each piece as well as the distinct style. Particularly noteworthy items that set the Urban range apart from the competition include the adaptable floating shelves, which serve as practical shelves as well as eye catching items thanks to their frame like design, and the stunning dressing table and mirror combination, simply due to its versatility as a decorative piece, a vanity table or any other function one can imagine. Each selection from the Urban collection arrives in a flat pack format, though thanks to the comprehensive and easy to follow instructions construction of each item should be relatively simple.